Much like a car has a vehicle identification number, tractors have an individual serial number that can, if you can read it correctly or find somebody that's able to, tell you a lot about the origins of your machine. They primarily denote when the tractor was made but can reveal much more. The serial number of a tractor is usually displayed on a plate and should not be confused with serial numbers of the engine or any other part. The serial number of a tractor will allow you to research its past. Identify your tractor's serial number and note it down. If you have a particularly old tractor, your serial number may have faded so it's important you make sure you get it down correctly. If you have trouble identifying any figures, take a rubbing of the number with some thin paper and a pencil. Go to tractordata.com, put the brand of your tractor in the "Brand search" box and then click on its model number. Go down to the "Serial number" section at the bottom of the page to find the year your tractor was manufactured and other specifications. Contact the dealer or individual that sold you the tractor. Tell them the serial number of your tractor and ask them if they have any records that provides more about your tractor. 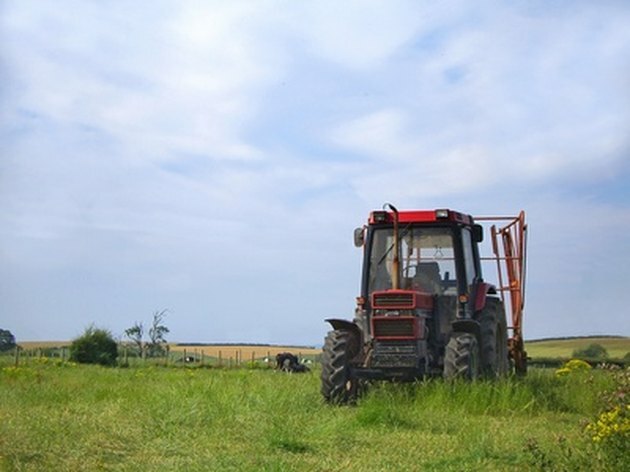 If your tractor was made after 1990 they should be able to provide data on the vehicle's manufacture and repair history. If it was made before this time, information may be little harder to come by but the seller should be able to help you if they're still in business. Run the serial number by the tractor's manufacturer. Again, if the tractor was produced post-1990 they should have a lot more information. Basic facts on older models should also be available. How to Find Out If a Singer Sewing Machine Is an Antique?